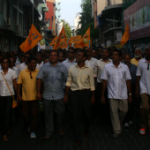 The Inter-Parliamentary Union (IPU) has called on the Maldives to make a speedy investigation into the death threats against opposition MPs and to offer them full protection. The statement follows a series of death threats made against seven Maldivian Democratic Party (MDP) MPs on Saturday night (August 2). 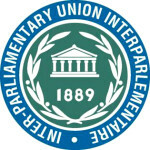 “IPU is deeply concerned by these acts of intimidation against MPs in a country where many parliamentarians have been victims of attacks, harassment and arbitrary arrests in recent years,” said the IPU. “The authorities must act with the necessary resolve to bring the culprits to justice,” continues the statement. MP Eva Abdulla – a recipient of the threats, and the first Maldivian member of the IPU – told Minivan News that she had received no update from the authorities regarding any investigation or protection after reporting the incident three days ago. “I am alarmed the parliament has not said anything,” she said. “The MNDF should take some action, the Majlis have not said anything, and the Inter-Parliamentary Union is speaking before the parliament,” Eva added. Meanwhile, police claimed that an investigation had been launched on the day the threats were received, with a spokesman describing the investigation as “going very fast”. When asked about the level of security offered to MPs, the spokesperson stated that it was the responsibility of the Maldives National Defence Force (MNDF) to provide a bodyguard. Both the police and the MNDF were unwilling to comment on the level of protection currently offered to MPs. The Sergeant-at-Arms – the head of the Majlis’ independent security team – told Minivan News that he had been informed of the threats, adding that the usual procedure was to inform MNDF and the police. He suggested that authorities have no capacity to track who sends these threats, a point previously contested by the opposition who have suggested those culpable are being protected from prosecution. In the death threat sent to MPs on Saturday, the perpetrators referred to the murder of Ungoofaaru constituency MP and Islamic scholar in October 2012. “It is not a sin to kill those who challenge Allah’s words and call for freedom of religion. Afrasheem Ali was an example,” read the message. While the murder of Dr Afrasheem was the most shocking attack on an elected representative in the country’s history, former MDP MP Alhan Fahmy was left unable to walk for months after being stabbed in the back in February this year. The safety and rights of MPs have previously been a concern of the IPU, who in November 2013 arranged an emergency visit to the Maldives. The organisation’s request for an urgent visit was prompted by the growing list of cases involving Maldivian MPs – 24 in total – filed with the IPU’s Committee on the Human Rights of Parliamentarians. 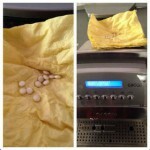 Death threats made against those in the public eye have become a norm in Maldivian cyberspace. Politicians, bloggers, and social media users have reported receiving threats for a range of reasons, from their support of a particular political party to their advocacy of freedom of religion. Earlier this week, 15 journalists from different media outlets received SMS threats in relation to the coverage of gang violence in the capital Malé. The Human Rights Commission of the Maldives (HRCM) has previously expressed concern over the prevalence of cyber threats, and urged victims to report threats made via Facebook, Twitter, or comments on blog posts to the police. “In light of recent events, at a time of high levels of intolerance, and increase in gang related violence, do not treat any form of cyber threat as an idle threat,” said HRCM Vice President Ahmed Tholal. If you're getting death threats from drug traffickers, rapists, murderers and foreign invaders, you're doing something right. Keep up the good work, journalists!